"Being aligned with one's purpose is more about how a person utilizes their uniqueness and abilities of all kinds to develop greater and greater levels of spiritual mastery." 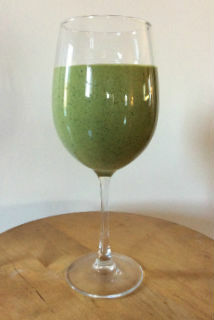 Here is my newest, tasty meal replacement creation that is high protein, with a healthy dose of the minerals potassium, calcium, iron and magnesium — and it supports good digestive bacteria with fiber and probiotics. Giselle chose to end a long career as a journalist to write her first book, a memoir about her father Joseph. She published We are Here for a Purpose: How to Find Yours in 2001. In 2007 Giselle produced "Here and Hereafter: Consciousness and the Journey of My Soul" that aired on public television in Colorado. "Just Dance the Steps" is her second book. Her essays and poetry are widely read. View Books by Giselle M. Massi. How Do You Stay So Thin?